Late Madavoor Vasudevan Nair was born on April 17, 1929. His father was Rama Kurupu, a folk dancer (Kambadikali and Kuttiyottam) and mother was KalyanikuttyAmma. After completing his primary education, he learned Kathakali under Madavoor Parameswaran Pillai in Gurukula system, at the age of thirteen, for 3 years. After that he joined at the Kathkali Kalari started by Kurichi Kunjan Panicker for one year. Then he started studying under Padmasree GHuru Chengannoor Raman Pillai the one and only veterant Guru in Kaplingadu style of Kathakali at the age of seventeen, for elevan years in Gurukula style. His expertise was in "Kathi", "Pacha", "Vellathadi" and "Minukku" characters. In 1947, the Maharaj of Travancore appointed Madavoor as a member of Kottaram Kaliyogam and continued there until 1964. 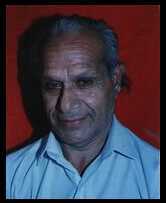 He joined Kerala Kalamandalam in the year 1968 and worked there till 1977. 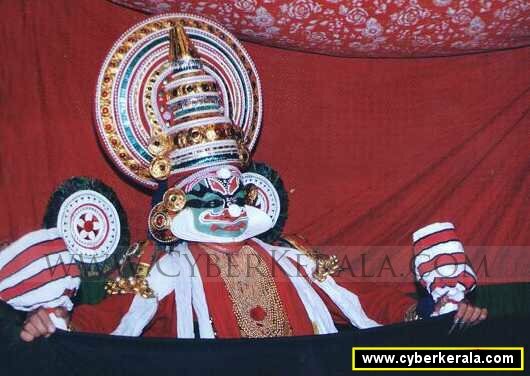 From 1972, his Guru, Chengannur Raman Pillai was working as the Principal of Kalabharathi, institution started solely for the upliftment of Kaplingadu style of Kathakali. In 1977 Guru Chengannur directed his disciple, Madavoor Vasudevan Nair to join Kalabharathi. He is continued as the Principal of Kalabharathi. Had performed Kathakali in many places all around India and in foriegn countries like Singapore, Hong Kong, Fiji, Indonesia, Canada, Australia, Germany, Great Britain,and United States of America. Had received Thulaseevanam Award, Alappuzha Kathakali Club Award, Keraleeya Kalakshetra Award, Guru Chengannur Memorial Award, Kerala Kalamandalam Award, Thapasya Abhindana Pathram, Sangeetha Nataka Academi Award, etc. He was awarded "Padmabhushan" in 2011. Family: Savithri Amma and children Madhu PV, Mini Kiran and Ganga Thampi.